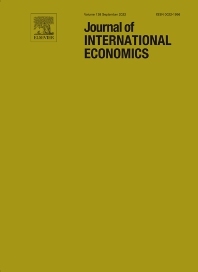 The Journal of International Economics is intended to serve as the primary outlet for theoretical and empirical research in all areas of international economics. These include, but are not limited to the following: trade patterns, commercial policy; international institutions; exchange rates; open economy macroeconomics; international finance; international factor mobility. The Journal especially encourages the submission of articles which are empirical in nature, or deal with issues of open economy macroeconomics and international finance. Theoretical work submitted to the Journal should be original in its motivation or modelling structure. Empirical analysis should be based on a theoretical framework, and should be capable of replication. It is expected that all materials required for replication (including computer programs and data sets) should be available upon request to the authors.